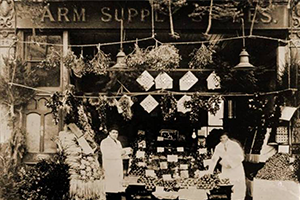 My family have been growing vegetables since 1898 since running a fruit and vegetable shop in Richmond, London. Since then, the business has expanded and today Produce World remains a privately owned business with active involvement from the fourth generation of the Burgess family, I’ve worked on the farms ever since I can remember! Produce World has been involved in organic farming since 1997 a decision driven mainly by our amazing loyal customers. It is now a main focus of our business quite simply because we think this is best way to grow the tastiest vegetables! We have a number of organic growers that we work with across the UK, so that we can follow the seasons around the country and make sure we use the best in season vegetables throughout the year. 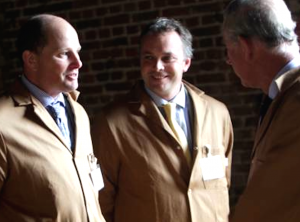 Pictured on the right is a picture of one of our growers and myself during a visit by HRH Price of Wales. We hope you enjoy cooking with our great Natures Premium organic fresh produce and feel inspired by Emily Watkins and Xanthe Clay’s delicious recipes!